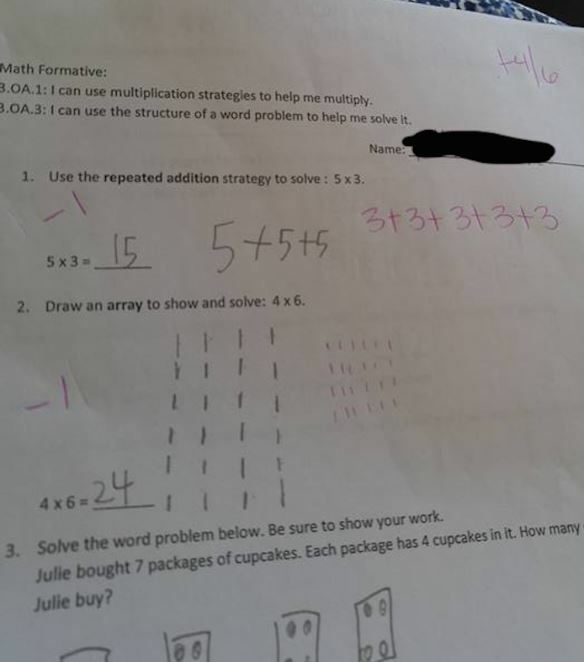 The Way This Teacher Corrected This Kid’s Quiz Answers Has Enraged People Everywhere! Everyone learns differently and sometimes the way things are explained just don’t work for us. Chances are at least at some point in your life going by the textbook just didn’t work for you, right? The image you see below has been circling the internet for a little while now and has Reddit users PISSED. The thread it was posted on currently has over 10,000 comments and basically, the way in which the student went about getting his or her answer was not something the teacher thought to be correct so the teacher corrected him or her. Things like this while sometimes necessary depending on the situation really make kids not want to learn at all, especially when it comes to the world of math. Reddit users explained their concern in as many ways possible and it seems most agreed that there was a problem in the way that teachers these days go about correcting their students. Donald_Keyman – “Especially since the homework appears to be out of 6 points. So the teacher counted off about 17% because she is insufferable. Deleted – “How are people actually debating this? Blahdenfreude – “That is precisely what they are doing. Rather than simply teach the child to memorize specific results or even methods which can best be implemented in simple situations, the instructors teach methods which will simplify much more difficult math problems when the student grows. 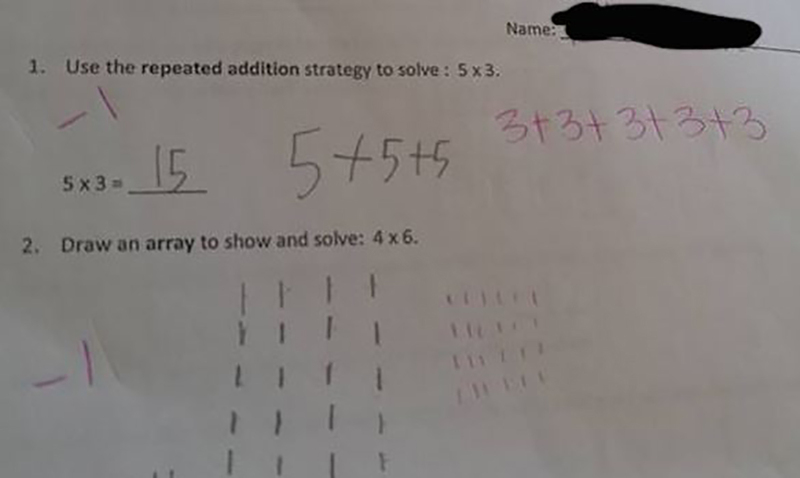 After looking at the image and thinking it over what do you think about the results the child got? Was the teacher correct in doing what he or she did or was this a bit much? While the correct answer was found by both getting there in different ways can be seen as good and bad depending on who you’re asking. Math is already extremely boring to most and depending on how old you are, a real headache. Perhaps allowing children to get their answers in their own ways would be a better idea? Do you think more than one way to get the right answer should be accepted or do you think this was completely called for?